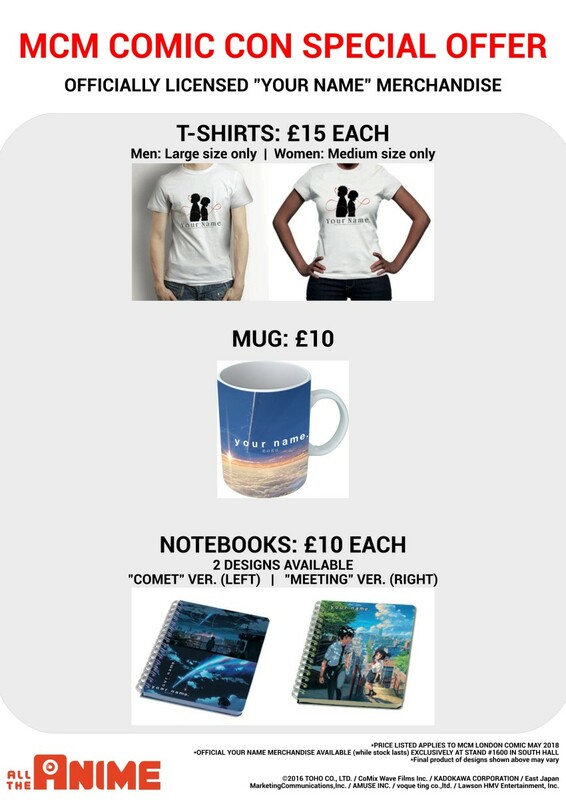 Official Anime Merchandise Available at MCM London. Tokyo Ghoul and much more!. We’e literally under a week away from MCM London Comic Con and we have some more news to share with you about our activity during the event, this time specifically relating to what you’ll be able to pick up when visiting our AllTheAnime stand (#1600 in the South Hall) across the weekend. 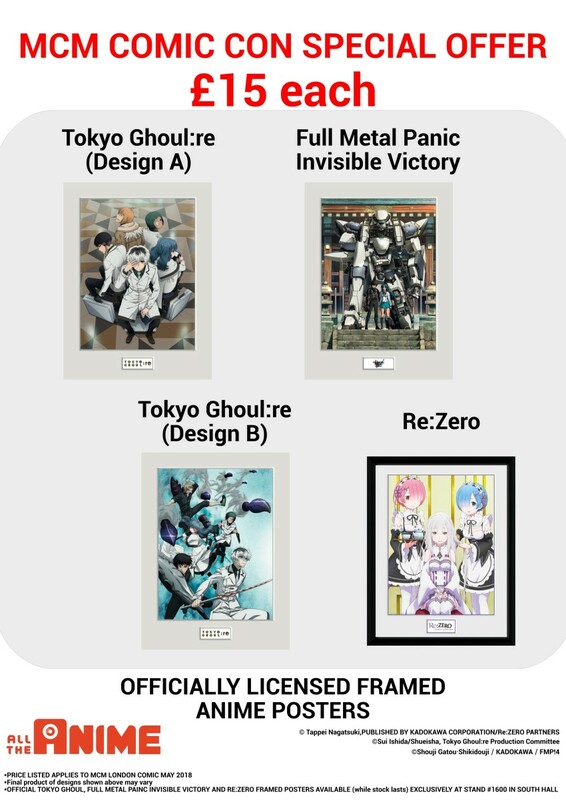 They were a big hit back in October so we’re bringing a selection of framed posters with us from a variety of titles! We have 4 designs in total and (while stock lasts) you’ll be able to pick up one or more to then proudly display on your wall! In celebration of the fact we have the creator of the franchise Full Metal Panic as the Anime Guest of Honour present over the weekend (read more about that HERE) we’ve got design from Full Metal Panic Invisible Victory! Then we have two designs from another series currently airing series, that being Tokyo Ghoul:re. And finally, ahead of our Blu-ray and DVD release in June we’re happy to say we’ll have a framed poster of Re:ZERO -Starting Life in Another World-! All of these posters being available across the weekend (while stock lasts). 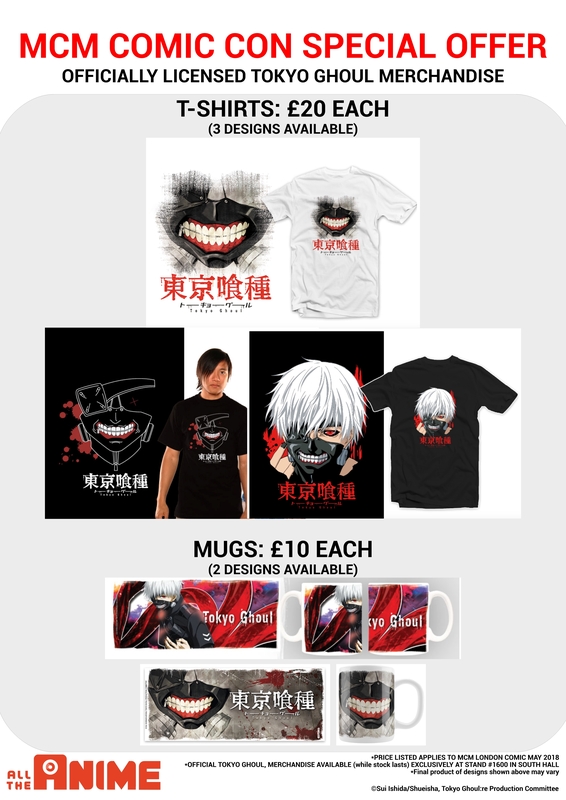 We know there are a lot of Tokyo Ghoul fans out there and we also know people are chomping at the bit for some official merchandise to sink their teeth into. So we’re bringing three different t-shirt designs, and two different mug designs with us. The three t-shirt designs feature the iconic mask of Kaneki, but with a variation on each one. Plus we know that while black t-shirts are really cool, occasionally you’d like a different colour to wear. So one of the designs is on a white shirt. Each of the t-shirts will be £20 each and are available in sizes Medium and Large while stock lasts. And when it comes to the mug designs, one of them features Kaneki with a really cool red background to it, while the other features the famous mask design with the original Japanese logo for the series too! These will be available at £10 each (while stock lasts). We referenced it at the top of this post, and we’re happy to confirm we’ll be bringing some Your Name merchandise to MCM London. We’ve got t-shirts, a mug and note books available for you to pickup (while stock lasts). It’s something we’ve had available since MCM London Comic Con last October, but in case you haven’t got your hands on the t-shirt or mug celebrating our 5th Anniversary you’ll be able to pickup those throughout the weekend (while stock lasts). Available to purchase ahead of general retail release dates: Night is Short, Walk on Girl, Love Live! Sunshine!! season 1, Gundam The Origin I-IV: The Chronicle of Char & Sayla, Vampire Hunter D Bloodlust, and more besides! Stay tuned for more details of what to expect from us at MCM London Comic Con this coming weekend!